Kon! Just recieved my package containing Varakitsu’s goodies earlier today. I also obtained a few lovely Pokemon goodies while trying to obtain the loot on Monday, only to end up getting Varakitu’s stuff on Tuesday. – Lovely loot with some Pokemon extras; Varakitsu’s gift being the white middle package. *NSFW Warning: For those that may be have issues with some light ‘teases’ and clothing changing. Hopefully all within tasteful limits. Heyo! I wanted to make an article news post concerning Busou Shinki’s fate. I want to bring the good news which has bad news tied with it. I don’t want to spread rumors or be dramatic, just cover the situation while giving my thoughts on it. I’m trying to brace for an impact of any sort. 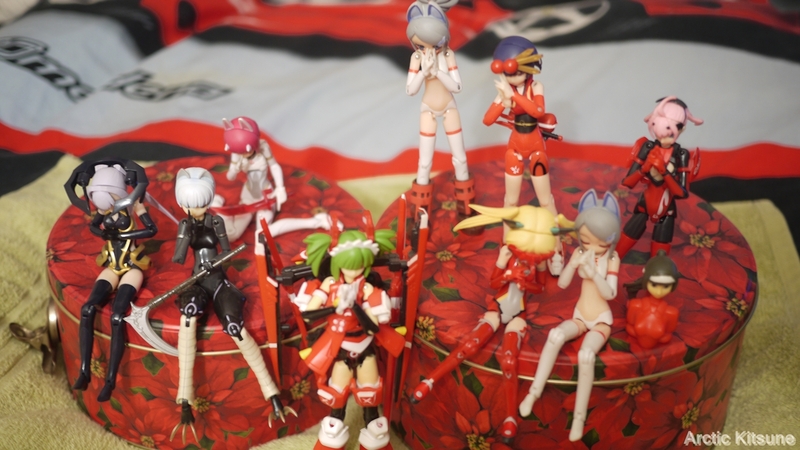 – My Shinki girls praying that they will see more of their sisters from Konami. A’K’s Blog’s 7th Anniversary – Kon! Heyo! Happy birthday/anniversary to my blog for going for 7 years! My blog being happily sharing Ottawa, Shinki, and Anime related goodies to myself and others. The blog’s 7th year of random fun! Continue reading A’K’s Blog’s 7th Anniversary – Kon! Heyo, just wanted to make a quick post of Renge today. Heyo! Myself, Varakitsu, Renge and the Dolls Of Ottawa group went downtown to enjoy the Winterlude festivities with our Doll meet. We all appeared to have fun taking in the festivities and taking images. – Fancy Canadian Winterlude guides.